So I decided to make Sims 4 versions of some of my favorite cc from Sims 3. 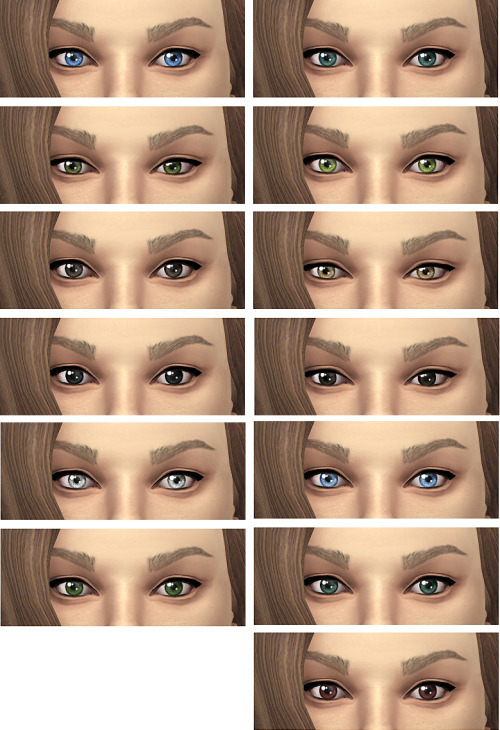 The eyes are an edited version of the Watercolor contacts by Elexis (at Mod the Sims) and the eyebrows are an edited version of brntwaffles Emma brows. 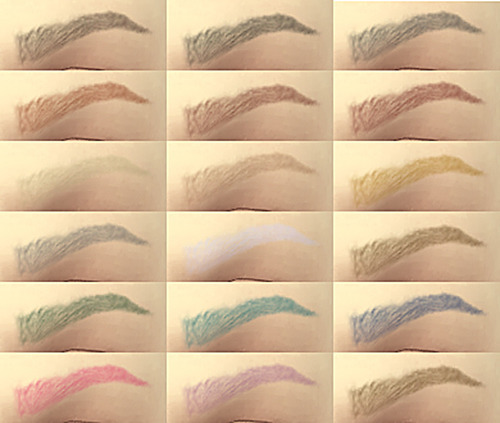 The eyebrows will replace the ThickStraight eyebros, which you can find on the second row of the eyebrows. It has all 18 base colors. Edit: Downloads has been moved from dropbox to mediafire. Links should work now!